Tissot has the perfect gift for you to impress this Valentine’s Day. Women always expect a lot from men on that holiday in particular. Get it right this year and everything will be easier. 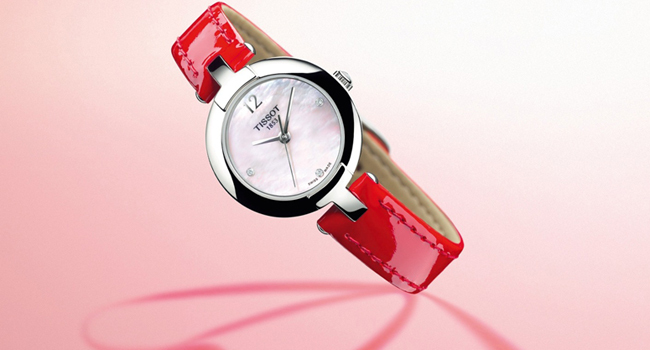 You can’t go wrong with the Pinky by Tissot. It is beautifully feminine with its curved case and fine features, with the mother-of-pearl and diamonds on the dial adding further sophistication and elegance to the piece. 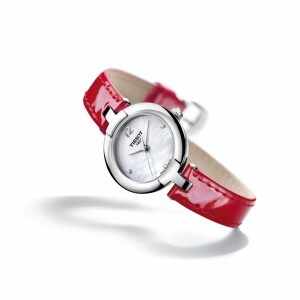 The bright red leather strap is where it gets its undeniable style from. It has everything a woman could ask for and most importantly, it offers time which is what they really want. This watch will be more than just a watch in her eyes but something that she will cherish and hold dear for time to come. The messages of love, passion and sophistication will come across and not be forgotten. 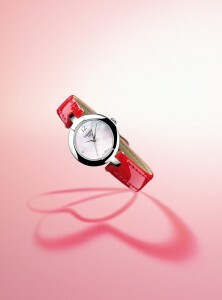 With this creation, Tissot wishes you a happy Valentine’s Day. Note: All diamonds used are Top Wesselton quality. They have been purchased from legitimate sources not involved in funding conflict and are in compliance with the United Nations resolutions. Tissot hereby guarantees that these diamonds are conflict-free, based on personal knowledge and/or written guarantees provided by the supplier. 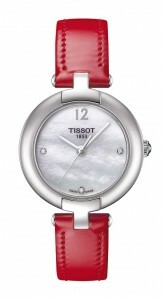 For Tissot, “In touch with your time” is far more than an advertising claim. This phrase expresses the brand’s DNA; its proven dedication to being perfectly in tune with the technology and tastes of each era. 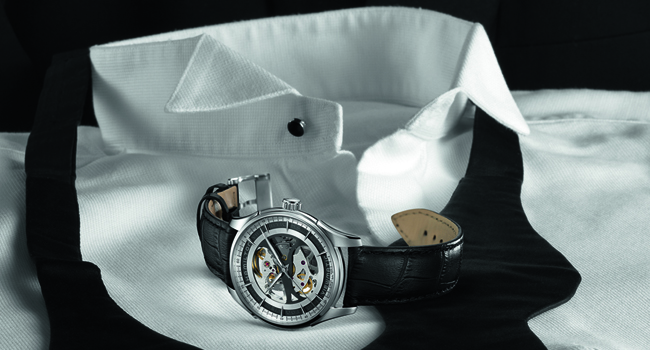 Tissot has been growing and developing its tradition of innovation since 1853. From the early days to the present, in its home in Le Locle in the Swiss Jura Mountains, Tissot has translated craftsmanship and precision into stylish timepieces now sold in more than 160 countries around the world. Special materials, advanced functionality and meticulous design detail join forces to create the luxury of accessibility. Tissot is a member of the Swatch Group, the world’s largest watch producer and distributor of Swiss watches, as well as Official Timekeeper and Partner of MotoGPTM, FIM Superbike, FIBA, AFL, RBS 6 Nations Rugby and the World Championships of cycling, fencing and ice hockey. 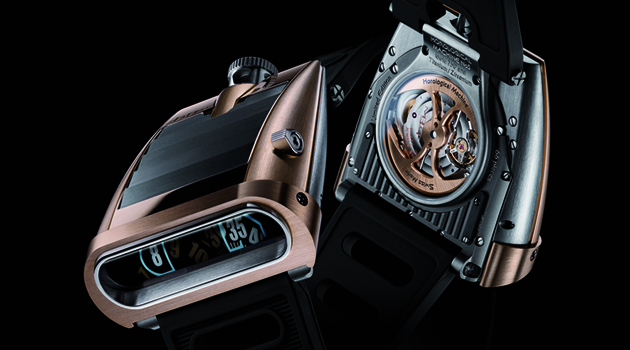 With the latest innovations in its communication and product, Tissot presents impressive proof of its signature, “Innovators by Tradition“.